Ships today if you order in the next 5 hours 55 minutes. 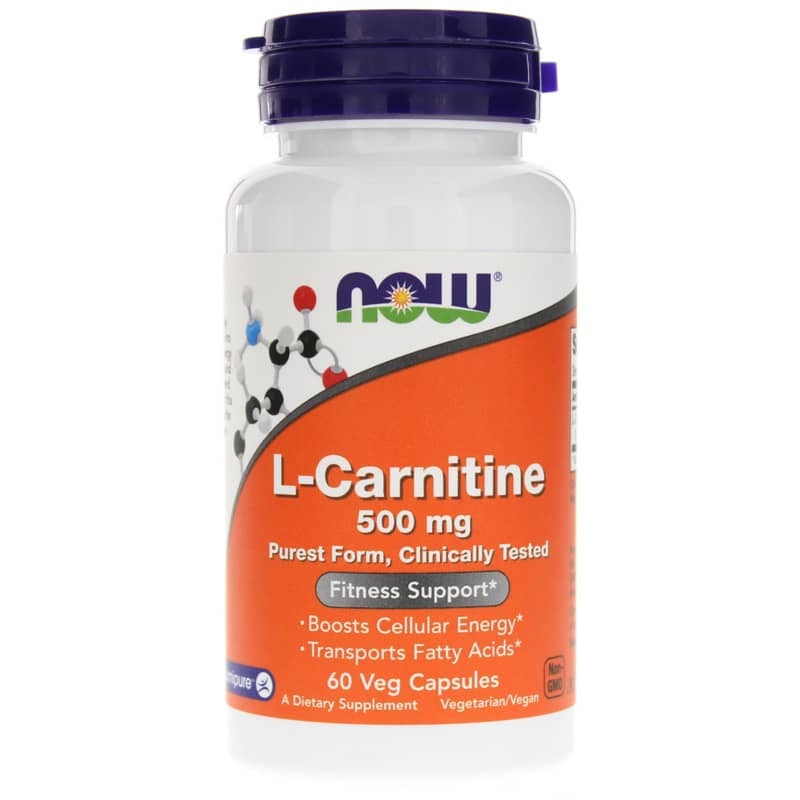 L-Carnitine plays an important role for maintaining energy production by transporting long-chain fatty acids into the mitochondrial matrix to be burned for energy. This function supports physical performance and weight management. 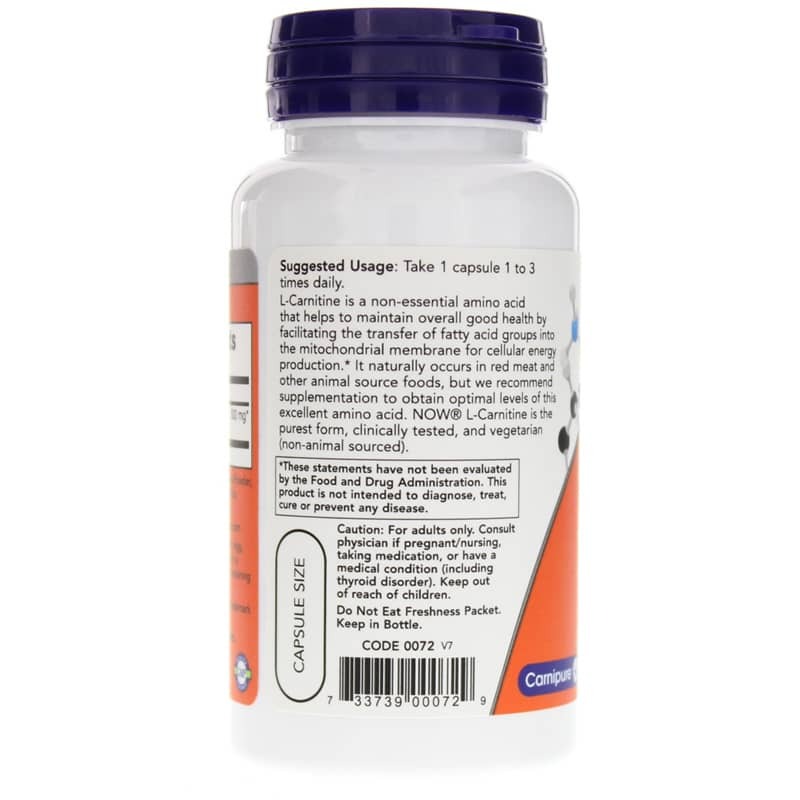 Therefore, L-Carnitine and its esters, such as Acetyl-L-Carnitine and Propionyl-L-Carnitine, have received growing attentions for their uses in cardiovascular and neurological health. Pure L-carnitine is an amino acid that normally attracts water which can cause it to deteriorate rapidly. NOW uses a tartrate form to help ensure that this product maintains stability and full potency. 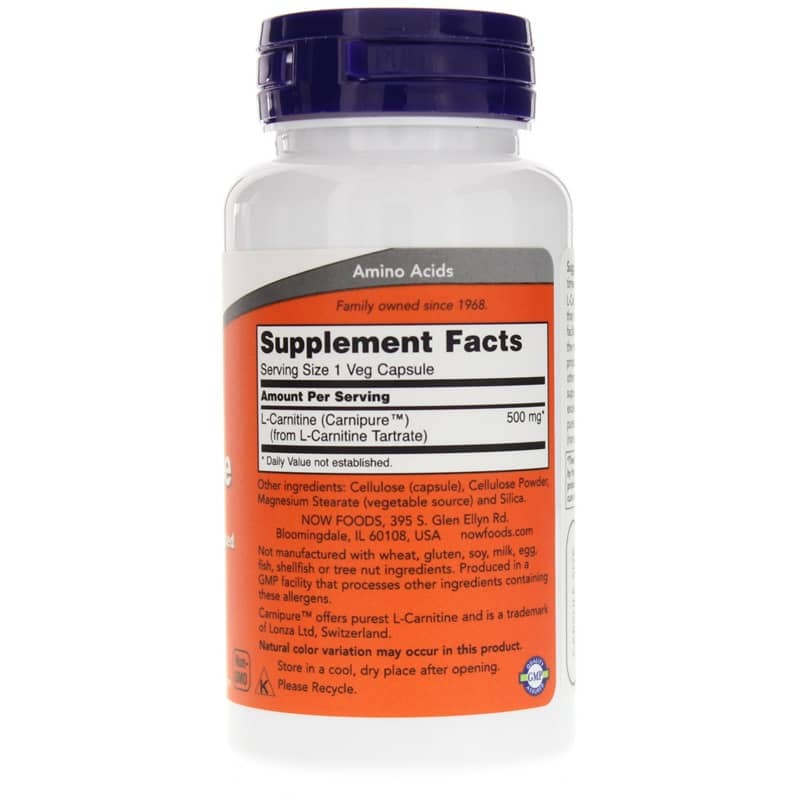 L-Carnitine naturally occurs in red meat and other animal source foods, but supplementation may be recommended to obtain optimal levels of this excellent amino acid. Other Ingredients: cellulose (capsule), cellulose powder, magnesium stearate (vegetable source), silica. For adults only. If you are pregnant, nursing, taking medications or have a medical condition, please consult your healthcare practitioner before taking any dietary supplement. Keep out of the reach of children.